Television in Czech Republic was first introduced in the year 1953. Some experimental projects began in 2000 in collaboration with DVB-T. On 21 Oct, 2005 multiplex A (DVB-T) was finally launched with a total of 3 channels featuring TV Nova, Ceska televise and radio channels of Cesky rozhlas. There were 6 digital terrestrial television licenses awarded to commercial broadcasters on Apr 12, 2006. The receives of the licenses include Regionální televizni agentura (RTA), TV Barrandov, Febio TV, Z1, TV Pohoda and Ó?ko. Nevertheless, due to delays, a few projects lost investors and were cancelled. Z1 used to provide a news service from 2008 to January 2011, when it ended broadcasting. Ó?ko broadcasts a music service and TV Barrandov is offering general programming services. The streaming live TV is increasingly showing up throughout the country. Czech Republic was the first country in eastern and central Europe to cease all analogue broadcaster in Nov, 2011but the procedure did not complete until the last transmitters in the south east Moravia and northern Moravia end its analogue transmitters on 30 June, 2012. The first commercial television station in Czech Republic is TV Nova. 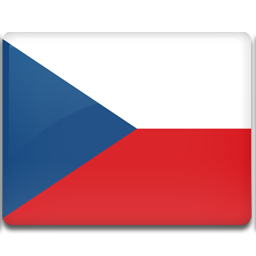 It started broadcasting in the year 1994 as the first privately owned nation –wide Czech TV station. Vladimír Železný became the first CEO of TV Nova. It progressed rapidly and quickly achieved the largest market share and still sustains the number one spot from January 2010. Prima Cool is a private television station in Czech and the second channel of TV Prima. It is primarily focused on young male audiences. It was launched on 1 Apr, 2009 as the new digital channel of TV Prima. The channel is shown by means of DVB-S on satellite ASTRA1G and cable TV in all packages because of the must-carry law. It is also broadcasted on DVB-T multiplex 2 where it is openly broadcasted reaching up to 72% of the population in Czech Republic.